A few years ago, my husband and I miraculously entered into the world of homeownership. We were able to buy a smaller, modest home in a nice part of our city. At the time, I was excited to have a place that was officially ours, but soon after, the newness wore off, and I began noticing things about the house that embarrassed me and made me feel inadequate. I quickly began seeing our new space in a negative light. Even though it was clearly an upgrade from our cramped two-bedroom apartment with zero yard, not to mention a total blessing to be able to afford it. I wanted to have people over, but my own insecurities about the not-quite-Pinterest-worthy state of my living room and kitchen began to get the best of me. Were there enough places to sit? Was my home decor on-trend or “quality” enough? Could I ever get it clean enough with three small kids underfoot? My feelings connected with hospitality were self-doubting and negative, so I just sort of stopped having people over. I felt my home wasn’t good enough, and by proxy that meant I wasn’t either. It seems obvious, but friends aren’t coming to your home to be impressed with your stuff. Sure, we all know it feels good to enjoy luxury sometimes, but that’s never why I go to anyone else’s house. When I visit someone for dinner or even a kid’s playdate, I’m not looking for the trendiest home decor or the latest electronics to enjoy, I’m looking for connection, warmth, and friendship. So, when I’m feeling insecure about my smaller space or my flooring that should be replaced soon, I try to remember what I’d want in a dinner with friends, and material things are never part of the equation. Most of us are looking for authentic relationships. We want to be known, accepted, and loved. And I’ve come to learn that I don’t need any fancy new things to engage and connect with guests who come to my home, I simply need openness to others and an intention to care for and love others this way. If I go to a friend’s house and their place isn’t immaculately clean, I’m instantly made more comfortable because I know that they are human. It’s not seeing their imperfections that sets me at ease. It’s also that they trusted me enough to let me see their untidiness or piles of papers on the counter. When I know that they feel safe enough to show me the less-than-perfect side of their lives, I feel welcomed to show them mine also—the messy, raw, real parts, as well as the presentable and polished ones. So, when I invite larger groups into my modestly sized home, I’m remembering that each crowded space or sofa shared by one too many people is a sign of a full life of friendship, as well as a symbol of me and my family extending our true, real selves and life to our community. 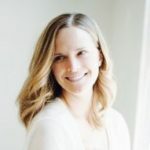 Jen Wilkin, an author I really respect, writes about how hospitality isn’t about “entertaining” people, about preparing an eye-catching table or having the most organized, most beautifully decorated or even the coziest home. I’m beginning to realize the difference between the two. Hospitality is about welcoming friends and even strangers to the warmest place in our homes. And instead of being worried and insecure, being others-focused. “Entertaining” becomes about us—how can we impress or wow others with our food or home. But when I remember that hospitality isn’t the same as entertaining, I can be free to focus on the people that enter my home and meet them wherever they’re at. Maybe a friend who comes over is grieving a parent or just lost their job. 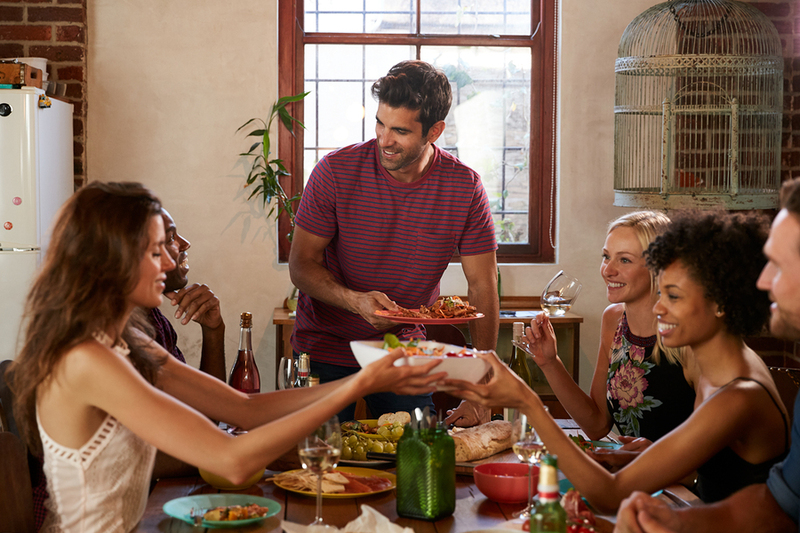 If I’m not preoccupied with my own hosting abilities or how my home is being perceived, I can truly be present to my guests and look out for their concerns. Listening with actual interest to their stories, asking thoughtful questions, and genuinely caring about people—these things require nothing fancy, no Pinterest inspiration, no special skills, simply an attitude that is focused on making others feel welcomed, valued, and loved. When it comes to hospitality, what matters most is my heart behind my actions. What can I give to my guests? Well, it’s not a big fancy home with bottles of rare vintage wine or perfectly cooked steaks. But I can give true interest in their lives, a hot meal, a safe place to spend a few hours, and a comfort level that comes from true acceptance of everyone—starting with myself.